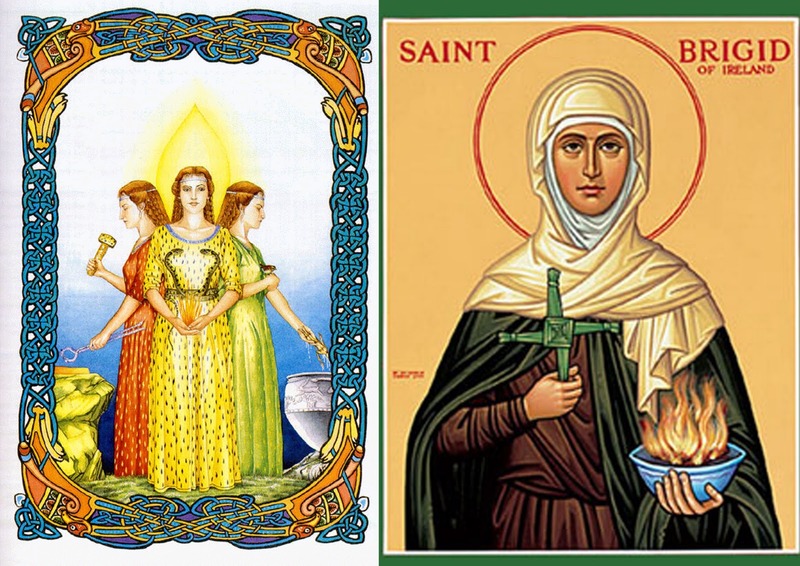 Coming up in around a week's time is the Pagan festival of Imbolc, and the Christian festival of Saint Brigid. 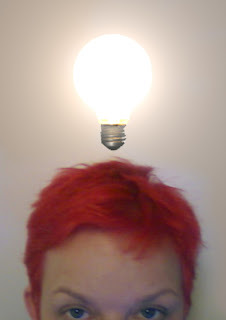 After reading about both Saint Brigid and the pagan Goddess Brigid I had a real lightbulb moment. These two ladies and their festivals certainly have a LOT in common. It would seem that at this time of year (as with many others) Christians and pagans alike celebrate the same sentiments in many of the same ways. Since this information is all freely available I won't regurgitate it here. Wikipedia has three good pages related to this: on Imbolc, Brigid the pagan Goddess and Brigid of Kildare the Christian saint. There has been no end of hostilities between Christians and pagans throughout history, continuing today, and from both sides. 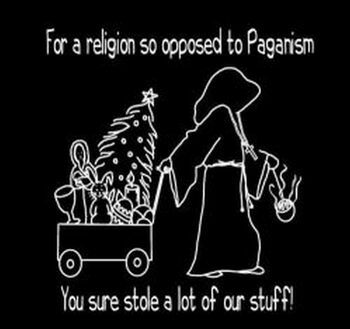 I see a lot of 'Christian-bashing' from pagans these days, often centring around the way that many old pagan festivals became 'Christianised'. It reminds me of those fights we'd have as children over games... 'It's MY idea... *I* thought of it first...' used as a justification to be 'in charge' of the game, who it 'belongs to', and ultimately who should have control over it. Cartoons such as the one above are shared over the internet, and are probably seen by many as just a bit of fun-poking. But for me they smack of those old racist, sexist, anti-Semitic, or anti-ANY-group 'jokes' that are now considered 'politically incorrect' because they are a symptom of an underlying hatred, prejudice and warmongering that's let's face it, isn't productive and just isn't cool. This practice was later outlawed by the church because it was considered 'too pagan'. But it has since been revived and is perpetuated by both the Christian nun Sisters of St Brigid and pagan followers of the Goddess Brigid. (See here and here). Referring back to the cartoon above, I hope we pagans can move away from the idea that Christians 'stole' our celebrations and practices, and begin to embrace the attitude of Saint Brigid, that these can and should be SHARED by us all; in peace, in harmony and in CELEBRATION, which is after all, the whole point. I know what you mean about those anti-Christian 'jokes': they really irritate me and put me off. I love the thought of Brigid as a bridge between the two!